Even battle rappers will tell you battle rappers don’t usually make good music. Eyedea fans would disagree, but even “Big Shot,” impressive as it is, hinges mostly on a contest-winning switcheroo. The problem is even though everyone knows guys like Mac Lethal can twist syllables like nobody’s business, they still feel like they need to prove it. Once skill becomes your selling point, it’s hard to sacrifice it for artistry. Which is why Tierra Whack’s music is so impressive. She isn’t a battle rapper, but she’s from the same wheelhouse. 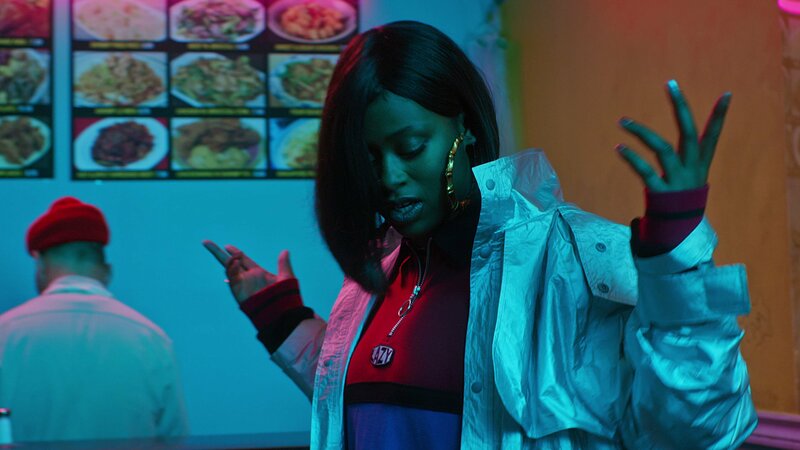 She came up with Internet-busting freestyles as Dizzle Dizz, but the music she’s made under her real name (yes) relies on sneakier displays of skill. She doesn’t wow you the first time (I severely underrated Whack World when I first wrote about it for Spectrum Culture) but makes you burrow into her work and catch all the inside jokes and double entendres that’d fly over a freestyle-championship judge’s head in the heat of the moment. It’s not inaccurate to describe Tierra Whack as a mumble rapper. “Mumbo Jumbo” is her love letter to the genre, and I don’t think she’s making fun of it. If she was, why such a curious hook—“and when I wave goodbye they all wave hello”—? More commonly, she’ll mush her words through this sort of cartoon-dumbass voice, which is just one of many ways she threads verses between her equally commendable hooks. I didn’t appreciate “Hungry Hippo” until I suddenly understood something she said: “Rick Owens on me/they think I’m his stylist.” It’s a great line in a song about being underestimated as a woman, and I missed it the first dozen or so times I heard the record. The reason I missed it, aside from the fact that I just am not as good at picking up on lyrics as a lot of listeners, is because she sings that line in that damned Patrick Star voice. Good artists make good sounds and sing good lines and make sure you understand them. Great artists make good sounds and sing good lines and don’t really care because they hope you’ll suss them out sooner or later. That’s why the best albums reward repeat listens and grow on you instead of wowing you from the offset. Tierra Whack is so confident in how good her music is she doesn’t even need to make a point of lyrics she ought to be very proud of. Would Shakespeare make any sense spat at the speed of sound on stage in front of a bunch of note-scribbling judges? Likewise, would Picasso be as popularly perceived as a genius if we didn’t know he could paint perfectly respectable landscapes? Whack has already proven she can spit. Now, she’s free to do anything else.